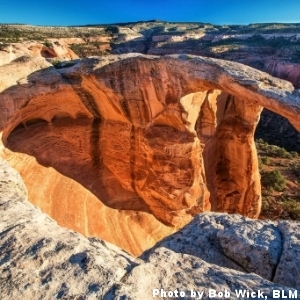 Latinos have a unique connection to western public lands, as our people have settled on and used these lands for generations; however, our voices and opinions are often left out of the conversation for public land protection. We need to get involved in the public land discussion, and we should start by speaking up on the conservation of public lands around scenic Moab, Utah. One of the most beloved U.S. conservation programs was left to expire today. In 2010, LWCF generated $442 million and created 3,000 jobs. “Letting the Fund expire will be a lasting black mark on the leadership of Congress,” says Arizona U.S. Representative Raul Grijalva. The vision of the average recreational user is of an older, white man; however, Latinos spend more on outdoor gear than other groups. We envision a broader, more inclusive picture of recreationalists-- one that incorporates all user groups, including involving all voices in the conservation conversation. The LWCF protected fish and wildlife habitat for over 50 years. Latinos are a major recreational group that has experienced the benefits of this program. The LWCF provides access to public lands, preserves Heritage Sites, and provides educational opportunities to Latino communities.